Dr. Vin Tangpricha is an Assistant Professor of Medicine at Emory University School of Medicine in Atlanta, Georgia. He completed his undergraduate degree at Case Western Reserve University in Cleveland, Ohio in biology and anthropology. He attended Tufts University School of Medicine where he received his M.D in Boston, Massachusetts. He completed his internship and residency in Internal Medicine at Boston University School of Medicine in Boston, Massachusetts. He completed his fellowship in Endocrinology at Boston University School of Medicine. After his fellowship training, he received his Ph.D. degree in molecular medicine at Boston University School of Medicine. He was promoted to the rank of instructor at Boston University School of Medicine before joining the faculty at Emory University. He has authored over 12 manuscripts on vitamin D metabolism, thyroid disease and osteoporosis. Dr. Cherry Wongtrakool is an Assistant Professor of Medicine at Emory University School of Medicine in Atlanta, Georgia. She completed an undergraduate degree in chemical engineering from M.I.T. in Cambridge, Massachusetts and attended medical school at Cornell University Medical College/Weill Medical College in New York, New York. She completed her Internal Medicine residency at Boston University School of Medicine in Boston, Massachusetts. She remained at Boston University School of Medicine to complete her Pulmonary/Critical Care fellowship in the Pulmonary Center where she developed an active interest in lung development research. 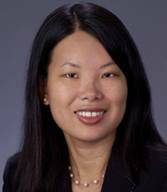 At Emory, Dr. Wongtrakool’s research focuses on how prenatal nicotine exposure affects lung development and subsequent development of chronic airway diseases such as asthma. Her current research is funded by the NIH/NHLBI. 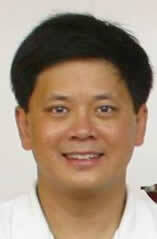 Dr. Wongtrakool is an active member of the clinical staff at Emory University Hospital and Emory Clinic. Dr. Natthavat (Tom)Tanphaichitr was born in Bangkok at Ramathibodi Hospital. He attended Saint Gabriel’s College in Bangkok until his family immigrated to the United States. He graduated from the B.S./M.D. program at Northeastern Ohio Universities College of Medicine (NEOUCOM). 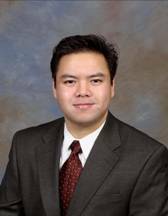 Dr. Tanphaichitr completed his internal medicine residency at Akron General Medical Center/NEOUCOM in Akron, Ohio and served as chief resident. He completed his fellowship in Nephrology at Washington University in St. Louis, Missouri. Dr. Tanphaichitr was a member of the Washington University faculty before he became an Assistant Professor of Medicine at NEOUCOM. He is currently the associate program director for the Internal Medicine Residency Program at NEOUCOM. His clinical focus is interventional nephrology and his research interests include improvement in dialysis vascular access care, hypertension and anemia in kidney disease. Dr. Artthapol Tanphaichitr is a Bangkok native but immigrated to the United States in 1981. He graduated from the B.S./M.D. program at Northeastern Ohio Universities College of Medicine (NEOUCOM). He completed his internship in Preliminary Medicine at Akron General Medical Center in Akron, Ohio. 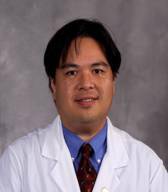 Dr. Tanphaichitr completed his Dermatology residency at the Ohio State University Medical Center in Columbus, Ohio. After completing residency, he then entered private practice with Associates in Dermatology, Inc. in Lakewood, Ohio. He currently volunteers as an attending physician in the dermatology clinic at the Louis Stokes Cleveland Department of Veterans Affairs Medical Center affiliated with the Department of Dermatology at Case Western Reserve University School of Medicine. 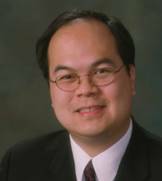 His clinical interests include the use of immunosuppressive agents for dermatologic conditions, surgical removal of skin cancers, and cosmetic dermatology. Dr. Jutabhha an Associate Professor at the David Geffen School of Medicine, UCLA. He serves as the Director for the Center of Small Bowel Diseases. He received his medical degree at Northwestern University and completed his internship, residency and fellowship at Northwestern. His research interests include gastrointestinal bleeding and colon cancer screening. 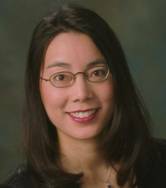 Dr. Jeannie Visootsak was born in Thailand and immigrated to the United States in 1978. She is currently an Assistant Professor in the Department of Human Genetics and Pediatrics at Emory University School of Medicine. She completed her undergraduate degree in Chemistry at University of Southern California and graduated medical school from UCLA School of Medicine. She completed her Pediatrics residency training at King/Drew Medical Center in Los Angeles, CA and a fellowship in Developmental and Behavioral Pediatrics at Cedars-Sinai Medical Center, UCLA School of Medicine. She also conducted clinical research at the Medical Genetics Birth Defects Center at Cedars-Sinai Medical Center. Dr. Visootsak is currently the Medical Director of the Down syndrome and Fragile X syndrome clinics at Emory University. Her area of research is in neurodevelopmental disorders, particularly in children with genetic syndromes. She also has interest in international health and has volunteered in Tanzania, Haiti, Peru, Ecuador, India.